PGA Professionals will face a new challenge when they head to Riverside Oaks Golf Resort for the 2015 NSW PGA Championship. 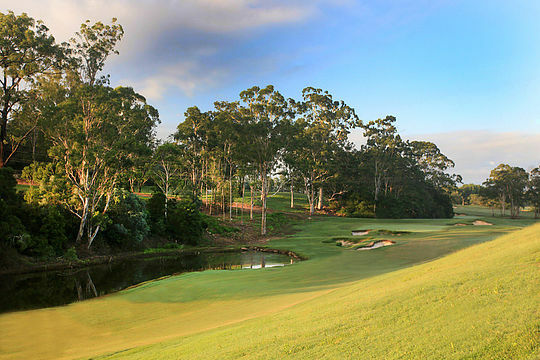 Riverside Oaks Golf Resort’s new layout the Bungool Course will celebrate its first anniversary during the tournament and in a fitting celebration will host the Professionals as they vie to become the 2015 NSW PGA champion. “On the back of last year’s successful NSW PGA Championship at Riverside Oaks Golf Resort we are delighted to be returning this year,” said Brian Thorburn, CEO of the PGA of Australia. This is the first time that a PGA Tour of Australasia tournament will be played on Sydney’s newest championship layout, adding a new testing layer of strategy for the competitors to tackle. “The Bob Harrison designed course is sure to provide a great challenge for the professionals with its strategic design providing a number of options to play each hole, rewarding well struck shots and punishing poor ones,” said David Scott, Deputy General Manager at Riverside Oaks Golf Resort. Adding another dimension of intrigue for spectators, the NSW PGA Championship will be the final tournament on the 2015 PGA Tour of Australasia schedule. Set to be played from the 10-13 December for $110,000 in prize money the tournament will decide the Order of Merit champion as well as be crunch time for those players looking to retain their tour cards for 2016.